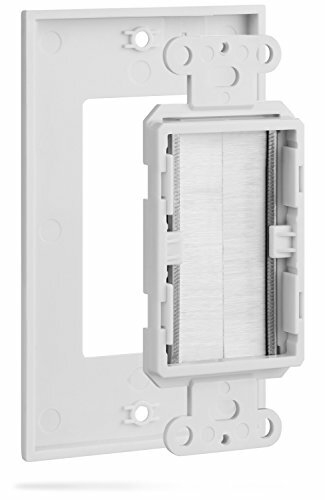 Fosmon's Universal Brush Style Low Voltage Cable Wall Plate is designed specifically for the installation of low-voltage cables and wires in walls. 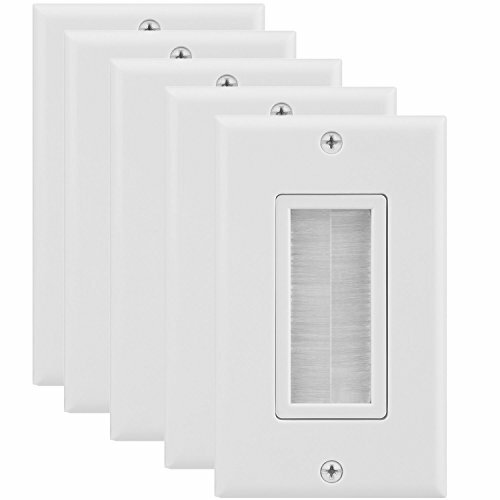 The design accommodates the space needed for speaker wires, coaxial, HDMI and data/communication cables. It runs cables neatly through walls. 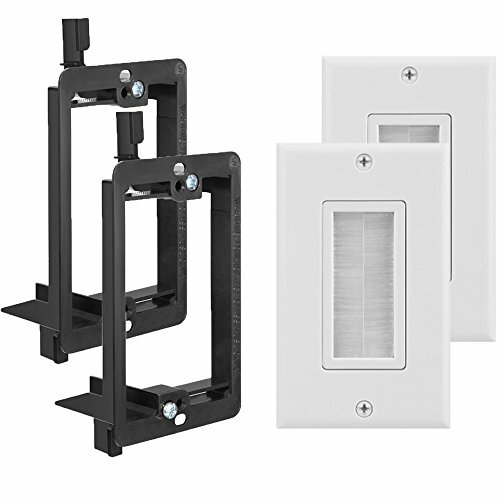 The wall plate mounts flush to wall plate brackets and standard size, single gang boxes. 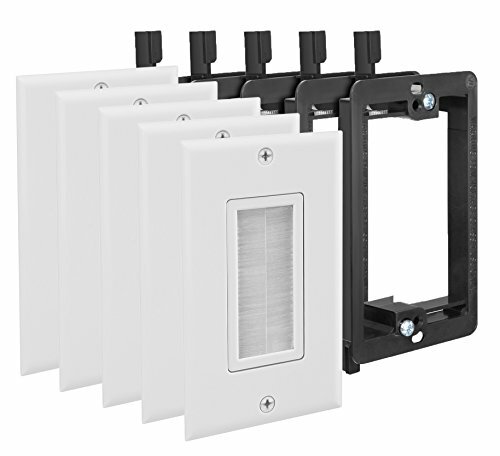 Fosmon wall plates eliminate the clutter of wiring along your baseboards which results in a clean and tidy installation. 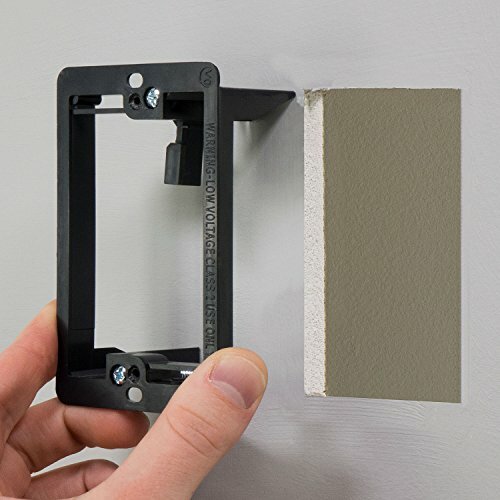 Installing one is simple and easy. 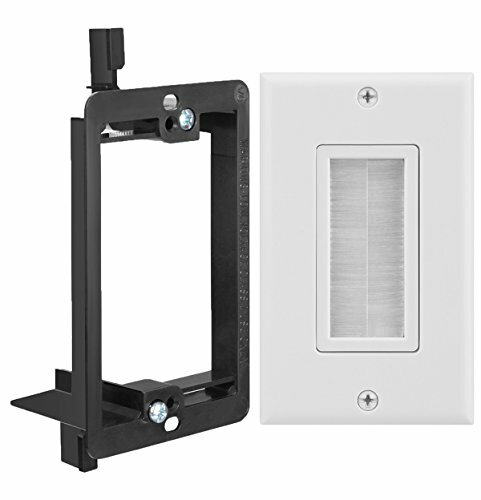 Works with standard size gang boxes and wall plate mounting brackets.